Amazing collectible for your Batman collection! Special limited edition, 1966 Batman & Robin with Batmobile. 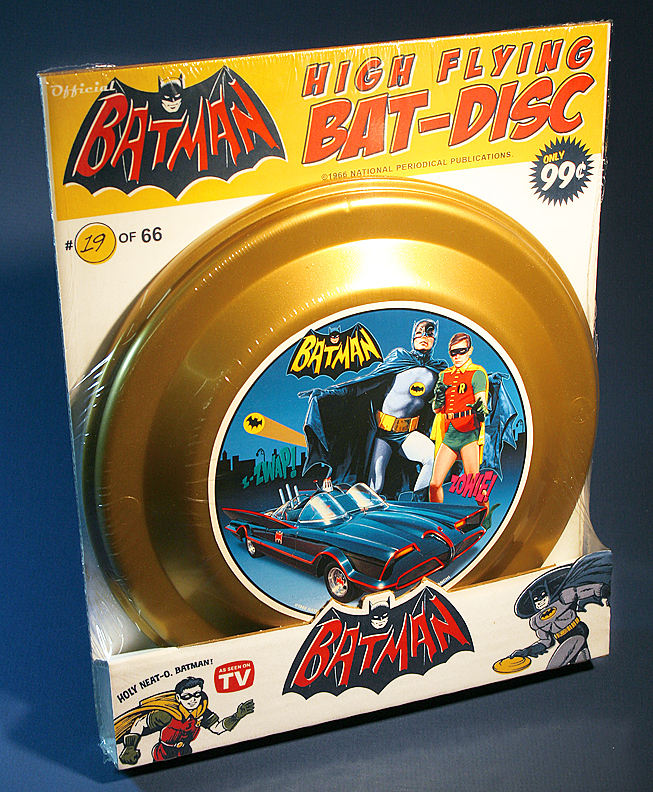 Full size Bat-dic frisbee in retro style package. Brilliant design from 1966 TV series/movie featuring Adam West & Burn Ward as Batman/Robin. INDIVIDUALLY HAND-NUMBERED SHRINK-WRAPPED, RETRO CARDBOARD ILLUSTRATION PACKAGE. A must for any Batman collector as there are only 66 of these ever made worldwide. This frisbee & package will illustrated & designed by famed music/entertainment artist, & noted life-long Batman collector, "Christopher Franchi".